• The on-grid inverter, also known as a grid-tie inverter, is used in the simplest solar power installations, as the device is solely connected to the solar panels and the local electricity grid. Solar panels will produce DC electricity from the sunlight, the inverter will convert it into an AC electricity and feed the totality of solar production to the grid. If the solar production is lower than the consumption of electricity, local grid will provide the supplementary power. If there is an excess of solar production, the inverter will export the power to the grid. The process of exporting power to the grid may provide various benefits to the user, depending on the country regulations. The utility companies may be interested in purchasing electricity from local solar installations (feed-in-tariff) or may simply subtract each exported kilowatt hours from the user’s invoice (net metering). Since the inverter is not capable of handling any batteries, it is not a preferable solution for areas suffering from frequent blackouts. 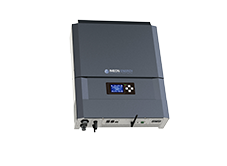 The off-grid inverter is capable of handling a solar battery and, as its name suggests, operates while not being connected to the grid. In systems involving the off-grid inverter the DC power generated by solar panels is used to charge the solar battery. Once the battery is full, the inverter will discharge the battery, while converting DC to AC, towards the loads. The off grid solar systems are used to provide electricity to isolated, remote sites. Achieving permanent power supply on such sites often requires introduction of additional system components, such as diesel generators, which operate when the solar system cannot provide power to the loads (i.e. battery empty or charging). 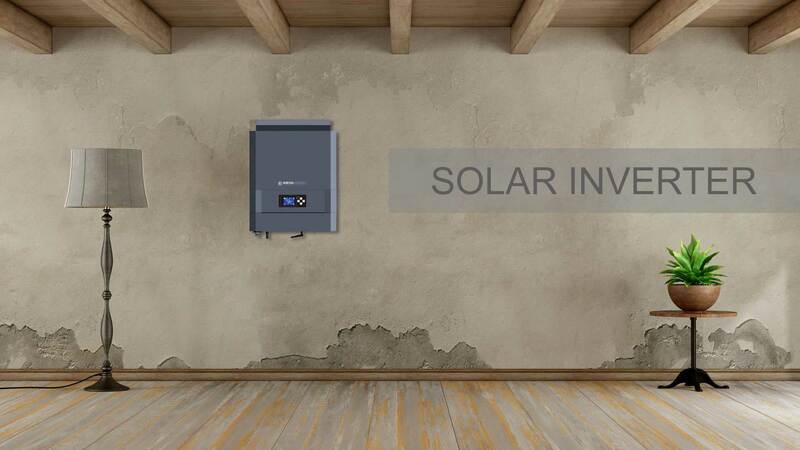 Hybrid inverter is the most modern solar power system to date. Combining the advantages of the on grid solar inverter and off grid inverter, the hybrid solar system makes use of solar production in the most efficient way. 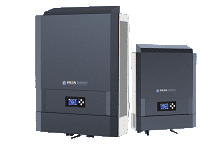 There’s no longer need to install multiple solar system components as the “all in one” hybrid solar inverter houses an equivalent of a grid tie inverter and a battery charger. The operation of a hybrid unit is intuitive – the energy generated by the PV panels is used to, in the first place, supply the loads. If there is a surplus of PV production, the surplus is used to charge the batteries. If the batteries are full, the same surplus can be exported to grid. As for the energy conversion part, in recent years it has been possible to improve the overall efficiency of hybrid solar installations and to simplify the implementation of that technology. Modern hybrid solar inverters can be installed in the grid tie topology, offsetting the consumption of electricity from the grid and charging the surplus production to the batteries in function of real time measurement of the load. The advantages of hybrid systems are not limited to grid connected sites, the most relevant solutions on the market allow to replace the grid with a diesel generator, which can be controlled (start / stop) by the inverter. Nowadays there are many all-in-one hybrid inverters on the market, but the most advanced is the inverter from Imeon Energy. Imeon Energy is a French manufacturer of hybrid inverters for self-consumption with storage. IMEON is a pioneer of all-in-one solar hybrid inverter systems that have an efficiency rate of over 95% and offer a longer battery lifespan through intelligent battery management. The technology of IMEON solar inverters is the all in one answer for true multi-source energy management. 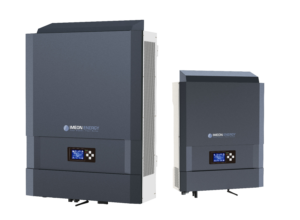 IMEON hybrid solar inverter was specifically designed for any solar installation, regardless whether the system is foreseen for an off-grid, on-grid, back-up or a hybrid application. IMEON is a plug-and-play smart inverter which simplifies the installation process and reduces the overall setup time of a solar system. Energy independence is now achievable with IMEON ENERGY’s solution for auto-generation of solar energy. IMEON is a result of high innovation. The phase coupling technology allows multiple sources of power (PV / batteries / grid) to be used simultaneously to supply the loads, therefore addressing the most apparent challenges of solar energy: intermittence and fluctuation. By supplementing one source of power with another, IMEON can guarantee an uninterrupted power supply accomplished with optimum efficiency. IMEON intelligently manages storage systems by limiting the use of the battery. The system uses surplus of solar production to charge the batteries, and only discharges them when additional power is needed to compliment solar production. 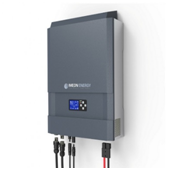 The IMEON smart grid solar inverter reduces the required storage capacity and extends the battery life span by minimising the number of charge – discharge cycles. The latter is a significant factor since the lifetime of solar battery is often expressed as number of charge-discharge cycles that the batteries can sustain operating under certain Depth Of Discharge (50% DOD usually means that half of the battery’s capacity has or can be used). To give an example a lithium battery reaches a lifespan of 3000 to 6000 cycles at 80% DOD while lead-acid battery has a lifespan of 400 to 800 cycles at 50% DOD for AGM and Gel type of batteries, and about 1000 to 2000 cycles at 50% DOD for OPVZ and OPVZS types. There are many other factors which may affect the lifetime such as high temperature, the smart battery management of the operating storage becomes therefore essential. IMEON solar inverter can be coupled to lead-acid (Gel, AGM, OPZV, and OPZS) or lithium batteries (Leclanché, Pylontech, BYD, FreedomWon). While the lead-acid battery has been used with solar systems for several decades now, the lithium battery has become an industry standard for home solar self-consumption installation ever so recently, mostly due to a significant fall of their price. Prices apart, lithium is the most lightweight of all metals and brings a higher energy density to the table. The weight of lithium storage is about one-third of the lead battery making it easy to transport and as indicated earlier a well-managed lithium battery can last years. To find the best solar inverter, the first thing you can do is calculating how much power is needed for your home per day. You can have a look at your electricity bill (note that winter and summer bills may be vastly different) or choose to calculate the energy consumption of every appliance in your household in watts then multiply the result by how long you use it during the day to get a final result expressed in watt-hours. In second step verify the amount of power (in kWh) can be produced by solar panels. This exercise should give you an idea about the size of the system you may need. Get ready, there are more things to consider. String inverter is capable of DC/AC conversion of solar energy coming from multiple solar panels. A chain of multiple panels connected in series forms a string, hence the name. This type of inverter is very common, since vast majority of installation sites does not require any special measures to optimise the production. In a single-phase system, the current flows towards the load through the phase node and the return path is formed via neutral. A three phase systems have three phase nodes, a single neutral, therefore allowing higher power throughput, meant for heavy loads. An average household usually requires power of several kilowatts. IMEON 3.6’s rated power output of 3 kW and single phase AC input/output is very well suited for the purpose of electrification of family homes with 2-4kWp solar array fitting neatly on the same roof surface. 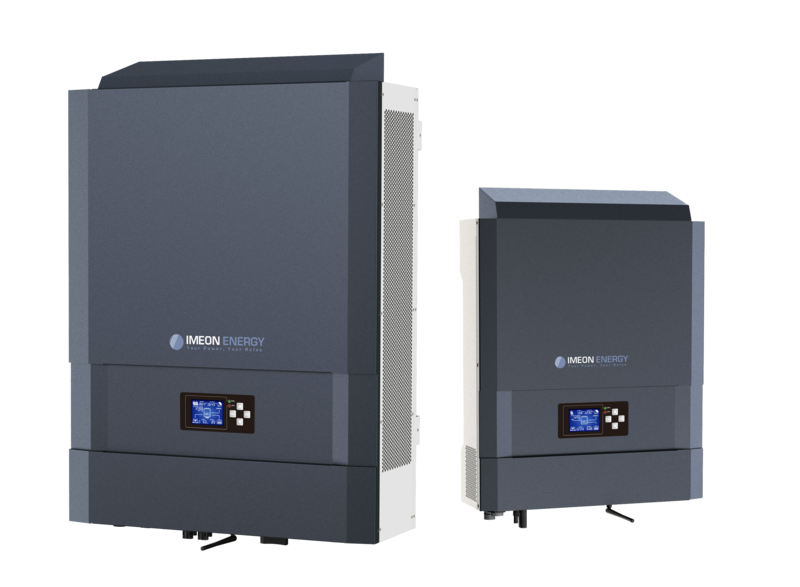 IMEON 9.12 is a three phase 9kW unit meant for larger sites, with dual independent PV inputs capable of handling two separate PV arrays. IMEON solar inverter is equipped with MPPT (Maximum Power Point Tracking) solar charge controller meant for dynamics optimisation of the solar yields, or in plain English, for finding maximum power of the array. The MPPT solar charge controller significantly outperforms PWM (Pulse Width Modulation) equivalents. IMEON 3.6 houses a single MPPT controller while IMEON 9.12 is equipped with two independent ones. A pure sine wave and a modified sine wave the inverters are capable of supplying your household with AC power, what is the difference and why it is important? The first and most important difference between the AC signals produced by pure sine wave inverter (PSW) and modified sine wave inverter (MSW) is their shape, with PSW devices outputting smooth sinusoidal waveform and MSW devices outputting periodically choppy up and down voltage steps resembling sinus. While simple loads such as lightbulbs do not mind the low-quality AC input, the impact for other devices may vary. Some appliances will produce a humming noise, some will consume more power, other will simply refuse to work. The second difference is the price. If you’re looking for a robust, cost friendly DC to AC converter meant as a supply for unsophisticated appliances you may want to consider the modified sine wave inverter. However, as the technology of pure sine wave inverters gets more and more affordable and as more and more devices rely on high quality AC signal to operate, it’s reasonable to consider using PSW inverters for your projects. A power inverter in the context of your solar installation, is a device that converts DC power coming from solar panels or solar battery to AC power which can be used to operate home appliances such as microwave, washing machine, TV, electric lights, etc. Currently, there are various sizes and types of solar power inverters on the market. To determine the right inverter, the users must consider many factors, most importantly how much power is being consumed on a daily basis. IMEON ENERGY produces two types of inverters, IMEON 3.6 and IMEON 9.12. 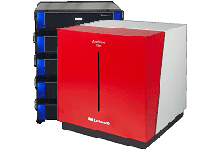 Both of IMEON inverters are equipped with intelligent storage management system. This intelligent system extends your solar battery lifespan. IMEON solar inverter can help you save on electricity bill. Each year the cost of electricity is rising by an unpredictable value. Investing in solar inverter protects you from the rising cost of electricity. • Using IMEON solar inverter is eco-friendlier and does not cause pollution. • By installing IMEON inverter you can increase your self-consumption of electricity and with IMEON OS.ONE smart management system that accessible through Wi-Fi users can monitor their solar production and consumption wherever they are using devices connected to the Internet. • An all-in-one inverter from IMEON is easy to maintain, easy to install, and more secure than other inverters. • Many studies have found that homes equipped with solar power system have a higher selling value. Today, in some countries the demand for properties pre-equipped with solar power systems continues to grow. • IMEON Solar Inverters have a warranty of up to 10 years. What is the function of solar inverter? The main function of solar inverter is to convert the direct current (DC) generated by solar panels or coming from solar battery to alternating current (AC) which can be used for powering home appliances. How much does it cost to replace a solar inverter? Each inverter has a different lifespan. Inverter, in its essence, it’s an electronic power supply, handling voltages and currents of your solar installation. Like any electronic device it is prone to wear and tear due to heavy exploitation of its components, which can be diminished if the inverter is kept in cool dust free and dry conditions. In some cases, inverter may need to be replaced. The cost depends heavily on the type, rated output power, and varies brand to brand. If you’re not a professional installer do not attempt to replace the unit on your own – contact your solar installer instead. Do I need an inverter for my solar panel? Yes of course! A solar inverter is the only device capable of converting DC generated by the PV panels to AC for home appliances. What is the purpose of the inverter in a solar PV system? The purpose of solar inverter is to convert the direct current (DC) generated by panel solar to alternating current (AC) for powering home appliances. What is the use of an inverter? When exposed to light, solar panels will output direct current and voltage (DC) which needs to be converted into alternating current and voltage (AC) by a solar inverter, before supplying the household appliances. Smart or hybrid inverters will manage different energy sources, such as batteries or diesel generators. What is the meaning of hybrid inverter? The hybrid or a smart inverter is a next generation multitasking solar inverter designed to optimise yields of your solar system. The device manages energy flows with respect to the consumption of the site. 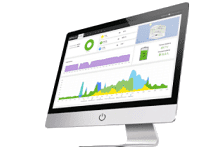 It arbitrates between storage and real-time solar energy consumption and can operate in off-grid, on-grid, hybrid or backup modes. How many years does a solar battery last? The lifetime of solar battery is expressed as a number of charge-discharge cycles that the batteries can sustain operating under certain Depth Of Discharge (50% DOD usually means that half of the battery’s capacity has or can be used). To give an example a lithium battery reaches a lifespan of 3000 to 6000 cycles at 80% DOD while lead-acid battery has a lifespan of 400 to 800 cycles at 50% DOD for AGM and Gel type of batteries, and about 1000 to 2000 cycles at 50% DOD for OPVZ and OPVZS types. If a battery use can be limited to 1 cycle per day, and if the DOD factor is known, it’s not difficult calculate the projected lifetime. IMEON smart grid solar inverter reduces the required storage capacity by using only surplus production to charge the battery and extends the battery life span by minimising the number of charge – discharge cycles. How long do solar panels last for? Most manufacturers guarantee solar panels performance over 25 years. But that does not mean that panels cannot be used anymore afterwards. Usually, solar panels that have aged 25 years have lower efficiency, but will continue producing electricity. How many solar panels are needed to power a home? To determine how many solar panels are needed in a home depends on how much energy you consume and on solar irradiation of your area. The best way to determine how many solar panels you need is to get in touch with a photovoltaic installer to make a complete study. Can you hook up a solar panel directly to a battery? Hooking up a solar panel directly to a battery is not possible. To charge the battery, an MPPT charger is required. How does the MPPT work? In broad strokes an MPPT regulator continuously looks for a voltage and current value which will return the highest power. For instance it may be interesting to lower the load (current) of the panels if it significantly improves the voltage and thus increases power output. What is an inverter used for? What is the difference between an inverter and a converter? An inverter is a type of a converter meant for DC to AC conversion. Which device converts AC to DC? A device that can convert AC to DC is called a rectifier. How long do solar rechargeable batteries last? Can you store energy from solar panels? Yes, the simplest and best way for homeowners to store solar power’s energy is to use a solar battery. A solar battery collects energy from solar panels during the day and allows to use solar generated electricity at night. Can solar panels work when there is no sun? The concept of solar panel is to generate power from the sun, if there is no sun, the solar panel cannot work produce electricity. Electricity produced by solar installation can be stored in solar batteries, it’s therefore possible to use renewable energy at night. Do solar panels need a lot of maintenance? Solar panels generally require very little maintenance. Tempered glass used on solar panel’s surface is designed to withstand rough conditions such as hail. Most solar panels do not have to be cleaned at all times, but if weather conditions or dust cause the PV production to decrease, you can hire a professional to clean your panels or clean them by yourself. How big is 1 kW solar panel? If a single solar panel has a rated power output of about 200 or 250 watts, then to produce 1 kW it may take about 4 or 5 solar panels. It’s necessary to consider the realistic generation output. Efficiency of PV panel, efficiency of inverter and wiring losses all combined could decrease the base value. How long will it take for solar panels to pay for themselves? But Imeon Energy engineering teams have developed a new way to manage the flow of energy oriented on achieving highest yields, the way to improve the life time of batteries and have put an embedded Artificial Intelligence to work to fine tune your installation. The ROI will in any case be the best. Do solar panels work on a cloudy day? On a cloudy day you can expect solar panels to produce around a portion of their normal electricity output. This may still be enough to power some of your household appliances throughout the day. What size solar panel system do I need for my home? How many solar panels are needed to produce 1 kW? Can we use solar energy without batteries? It is possible to use solar energy without battery. You can use an on grid or grid tied system. The solar panel will absorb the sunlight, then the solar inverter will handle the DC to AC conversion. If there is any excess production, it will be exported to the grid network according to local regulation. It’s worth noting that this system will not be operational during the night nor during blackouts. Can you charge a battery with a solar panel? Yes, it’s possible to charge your solar battery with your solar panels. The power generated by panel will be use to charge your battery, with use of charge controller. Can I use an inverter to run the microwave? The inverter can run any home appliances within its power rating, meaning that a 500W inverter will not be able to supply a 5kW loads by itself. Can a power inverter run a fridge? Why is it called an inverter and not converter? What is the difference between a rectifier and an inverter? An inverter and a rectifier perform opposite functions in electronic circuits. Both act as electric power converters, a rectifier changes current from alternating current (AC) to direct current (DC), while an inverter converts DC to AC. Can DC be converted to AC? Why there is no DC transformer? Because the DC only produces a constant magnetic field. If there is no change of magnetic field, it’s not possible to induce current in the secondary wiring of the transformer. Can you keep solar lights out in the winter? All Solar lights work in winter as long as the Solar panel receives enough daylight to power up the batteries to a point that the light can function assuming no faults. Do indoor lights charge solar panels? Any solar cell will generate electricity in any light, but daylight (preferably direct) is better simply because of the colour – it contains more UV which is to put it simply is more energetic and can properly kick the electrons about in the cell. If you’re just checking the system, bend a bright desk lamp (preferably halogen) to shine on the cell. How does an inverter for solar panels work? When exposed to light, solar panels will output direct current and voltage (DC) which needs to be converted into alternating current and voltage (AC) by a solar inverter, before supplying the household appliances.